Like you, we believe health equity is a human right. Hunger and malnutrition are the number one risk to health worldwide. 795 million people around the world do not get enough food to be healthy. 60% of all undernourished people in the world are women and girls. 98% of chronically undernourished people live in developing countries. Yet “hunger is the world’s greatest solvable problem.” Wellisen’s bold and disruptive approach to help eradicate hunger and malnutrition begins with Spirulina. Spirulina is one of the world’s oldest lifeforms – a microalgae superfood considered to be one of the most nutrient-rich foods on Earth. Spirulina is packed with more protein than soybeans, beef or chicken. Loaded with critical micronutrients, Spirulina has proven to correct a child’s malnutrition within a few weeks. Recent studies show that Spirulina not only improves children’s physical and cognitive development, but also helps people affected by HIV/AIDS to feel better in their daily life and gain weight. Wellisen’s Spirulina is upending the industry. Wellisen cultivates Spirulina in 12 open lined ponds across 45 acres under strict hygienic control with no herbicides, pesticides or any runoff contamination. Spirulina is grown, harvested, spray dried and processed for marketing by our team of experienced and trained staff. Wellisen is one of the largest manufacturers of Spirulina in India. Phycocyanin – a natural blue pigment derived from Spirulina with numerous health-promoting benefits – is one of the core ingredients that Wellisen manufactures through its proprietary extraction process at its state-of-the-art facility in Mysuru, India. In addition to innovative and natural formulations, Wellisen is sharing its know-how with others because growing and processing Spirulina elsewhere is one of the most promising approaches to solving hunger. Spirulina can be easily cultivated in pool systems with relatively little upfront investment. A pool of 200 square meters produces enough Spirulina for 1,200 children per year. Moreover, Spirulina production creates revenue, employment, and establishes a sustainable supply chain for long-term impact. With off-the-chart nutritional value, Wellisen is committed to Spirulina production and products. 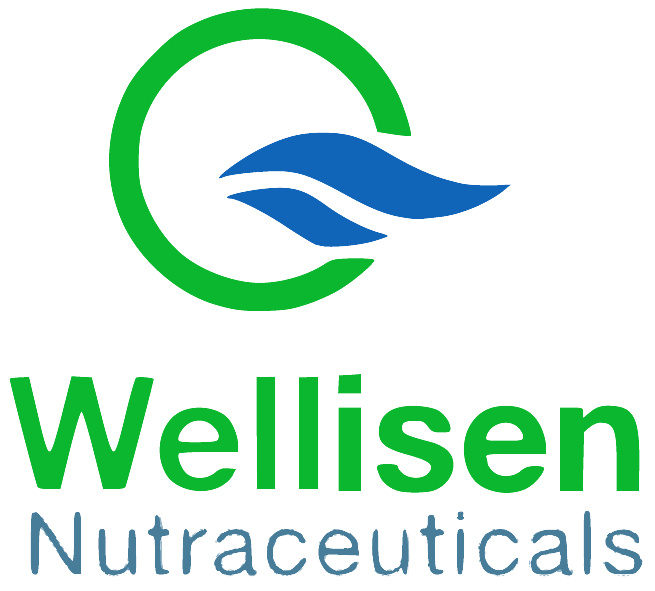 Wellisen also offers customized formulations and proprietary solutions to help clients who share our mission. We invite you to Arise with Wellisen. Learn more about Wellisen’s efforts in Uganda by clicking here.